The design for a 10-tower development in a tropical Chinese island has been won by German architecture firm HENN. The practice claimed first prize to design the Haikou Towers in Hainan, located in the South China Sea. HENN beat off competition from Wilkinson Eyre, Broadway Malyan, Zaha Hadid Architects and RMJM/Alsop. 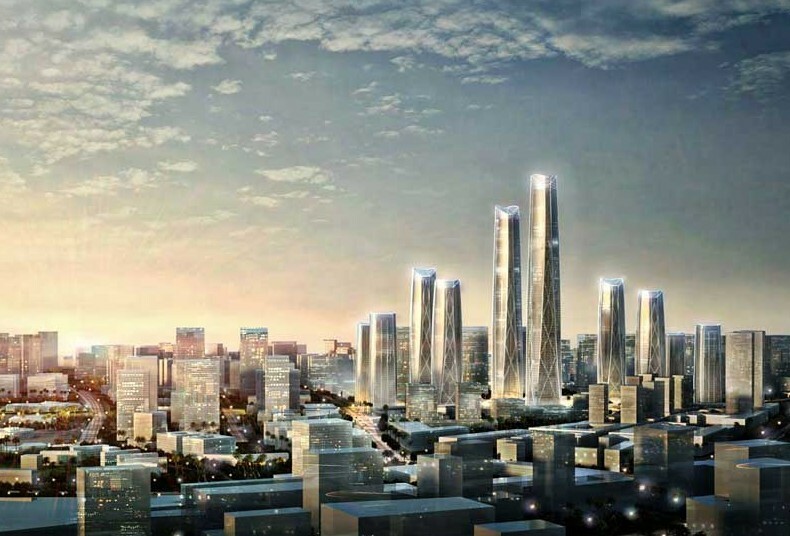 Haikou Towers are set to become the heart of the new Central Business District of Haikou. The masterplan comprises an ensemble of 10 towers ranging from 150m to 450m-tall with an overall building area of 1.5 million m2. The tallest tower will contain a hotel as well as office space. A large outrigger truss, which is purposefully exposed, provides a visual distinction between functions. The facade system reacts to differing sunlight conditions depending on the building’s orientation – it consists of an upper opaque section that blocks sunlight and a lower transparent part.